Could Kirinyaga governor Anne Waiguru be the person to watch come 2022?? The elevation of the former powerful but controversial Cabinet Secretary to deputy chair of Council of Governors has set her on a trajectory of succession politics picking up amongst top Central Kenya political honchos. Sources privy to the nascent succession battles shaping up in Central Kenya say she scraped through the opposition of at least three powerful politicians braving to carry the region’s mantle in the 2022 succession politics. Devolution Cabinet Secretary Mwangi Kiunjuri, Murang’a Governor Mwangi wa Iria, former Kiambu Governor William Kabogo and National Assembly Speaker Justin Muturi are top of the hopefuls to carry the region’s mantle once President Uhuru Kenyatta retires in 2022. But the election of Waiguru has set her a bar above in power dynamics that could see her at the centre of political discussions ahead of 2022. From a powerful Cabinet minister in President Uhuru Kenyatta’s first Cabinet to a disgraced ex-public official engulfed in a scam, and from making history for being among the first three women governors and now to the first female deputy chair CoG, Waiguru’s political rise has been fast. And her election has positioned her for the CoG chair position in the most decisive years of President Kenyatta’s last term. “You need to notice that by the time Waiguru serves her two-year mandate as deputy chair, succession politics will be in top gear. You also need to know that by 2020, she will have an upper hand in the CoG chairmanship race and in terms of perception, that is huge,” a political analyst from Central Kenya told the Sunday Standard. 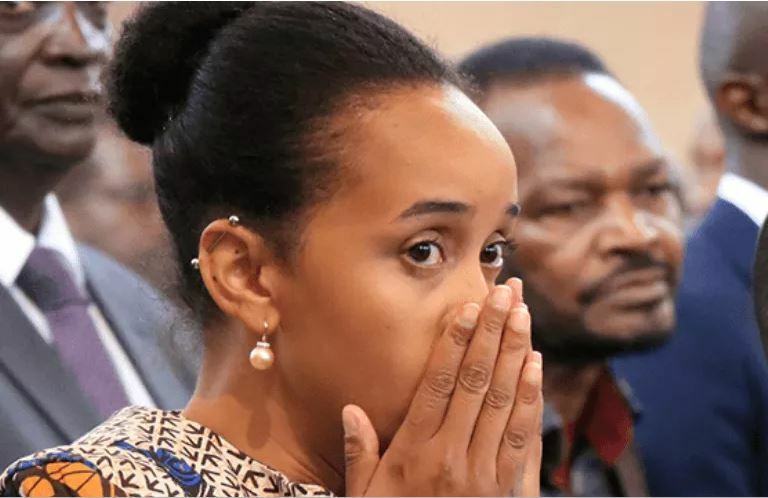 Although they could not speak openly, some key leaders from Central Kenya were said not to have been enthusiastic on her elevation owing to the message it would send. A meeting held between the Devolution CS, Governor Waiguru, President Kenyatta and other Jubilee governors in the confines of the CoG retreat in Diani ahead of the vote however cleared the path for her. “I would not know whether this was part of it. As you know, I am an independent myself. Perhaps it was part of the meeting they held, perhaps not. If you ask me, the most noteworthy of the events in Diani is the conciliatory path we took, collectively, to say let Nanok continue,” Laikipia Governor Ndiritu Muriithi said. The governor says his prognosis of the succession situation is that of relatively new players coming on stage to overtake old stagers in the game. He, however, refused to be drawn into detailed discussion on the subject. ALSO READ Would you apply for loan from kitty to pay dowry? Muriithi himself was a key player in the 2013 Kibaki succession race and was part of the moderates who threw their weight behind Amani National Congress leader Musalia Mudavadi as a “safe pair of hands” to steer the country to less confrontational politics. Together with his fellow band of moderates, Muriithi lost to the well-oiled and forceful UhuRuto juggernaut that swept the country like a storm. He, however, bounced back as an independent in this year’s election against the strong opposition of Kiunjuri and the Jubilee machinery. “Judging from President Uhuru and Deputy William Ruto own trajectory, it is usually the rank outsiders who make it.